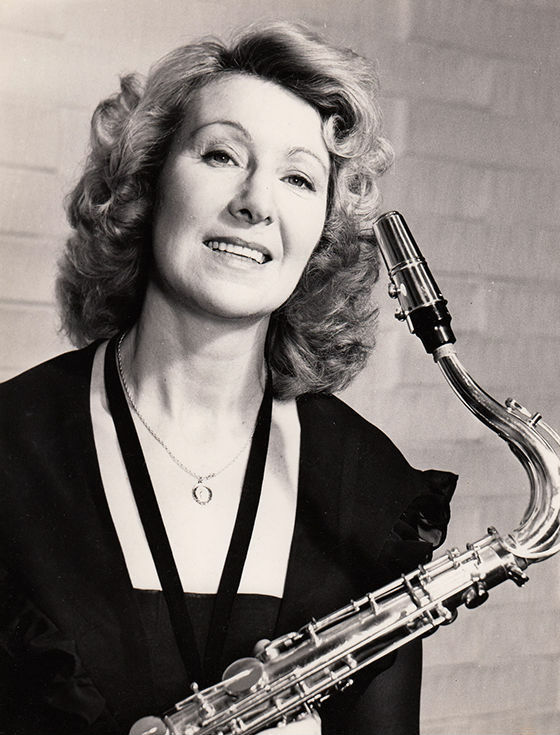 Kathy Stobart, a highly respected figure in the history of jazz in Britain and an inspiration to a whole new generation of young female players. 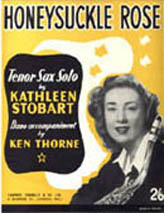 Her long career as a leading jazz saxophonist began in her early teens with Kathy only drifting into retirement in her early 80s. 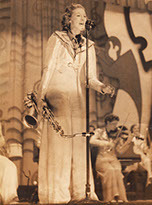 Apart from her own bands and line-ups which have included names as diverse as Ginger Baker, Elizabeth Welch and Harry Beckett, she has played with many leading figures of the day including Denis Rose, Vic Lewis, Geraldo, The Ted Heath Band through to numerous stints with Humphrey Lyttelton. Guest and festival appearances have put her on stage with most of the best UK jazz musicians plus many International stars including Johnnie Griffin, Sonny Stitt, Al Haig, Earl 'Fatha' Hines, Buddy Tate, Zoot Sims, Art Pepper, Peanuts Hucko and Scott Hamilton. The world of music being full of surprises and somewhat strange at times, Kath appeared on stage with Radiohead, along with the Humphrey Lyttleton band, in front of 42,000 fans at the South Park concert in Oxford, 2001. 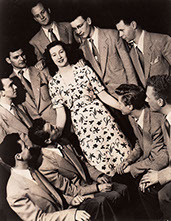 She taught many students both individually and in big band workshops who went on to great things and regularly gave 'breaks' to young musicians that she new needed to get 'a foot in the door'. Kathy tutored Dame Judy Dench for her role in the Alan Platter TV play, "The Last of the Blonde Bombshells"